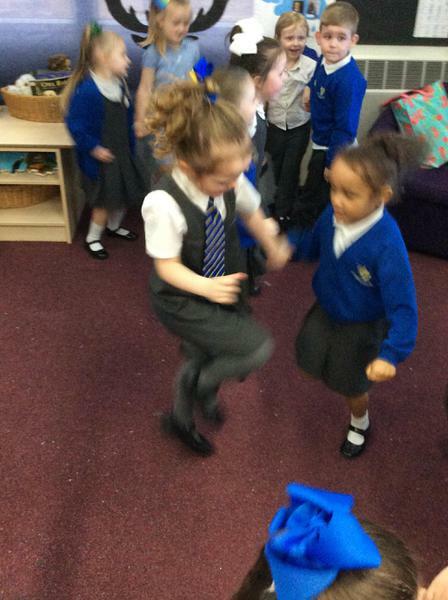 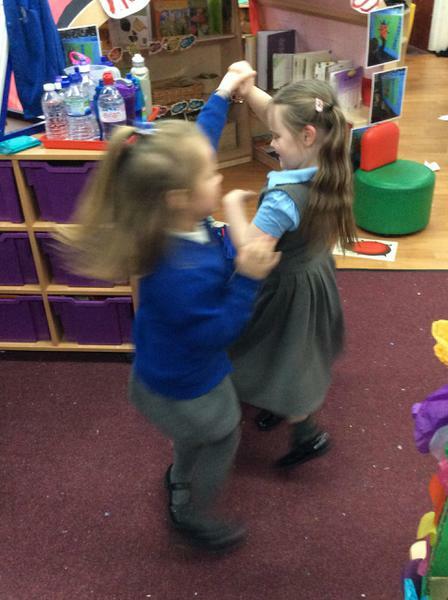 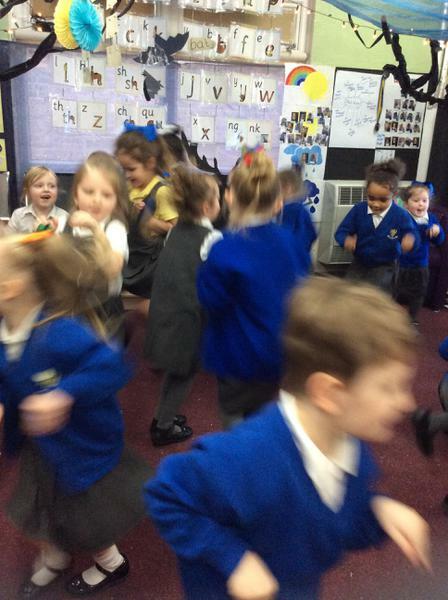 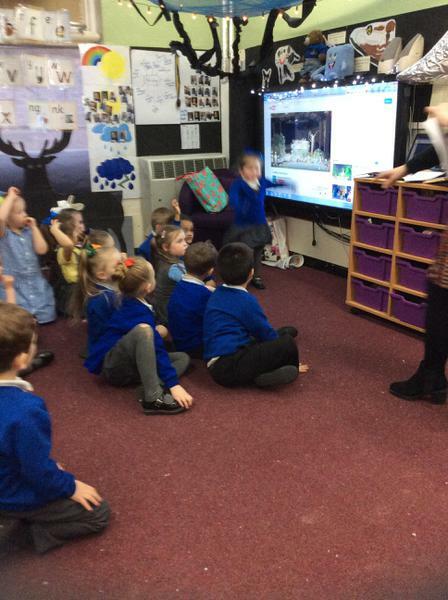 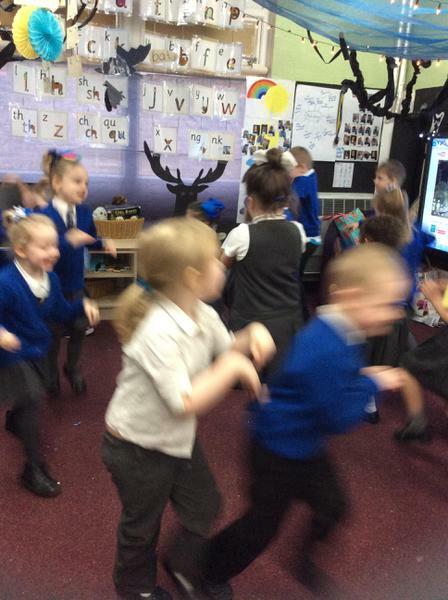 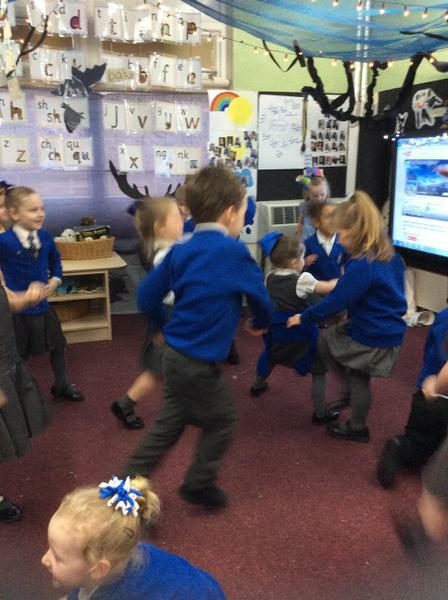 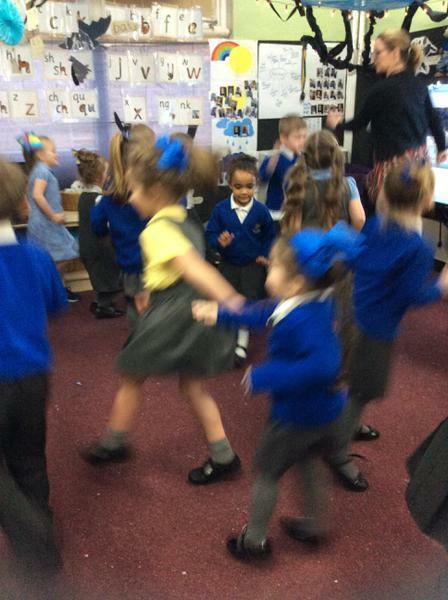 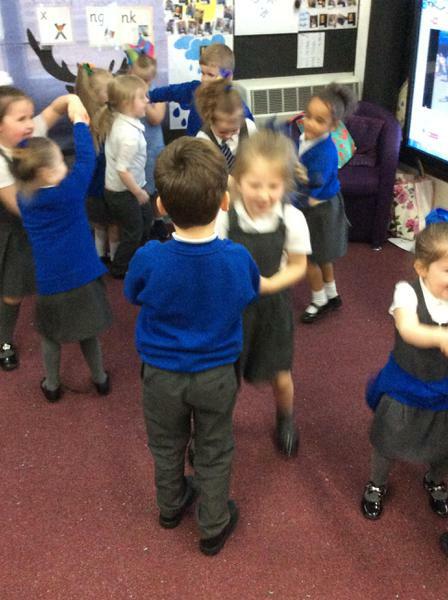 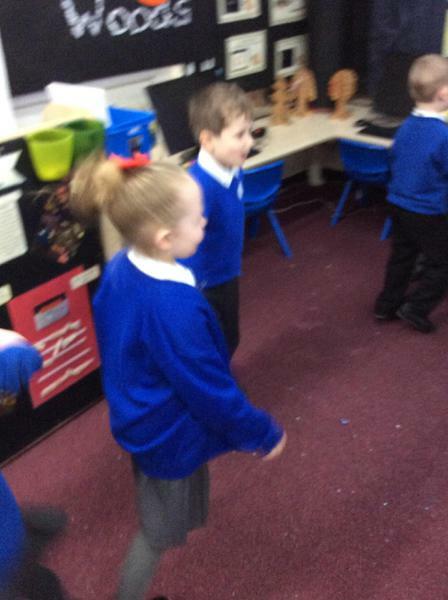 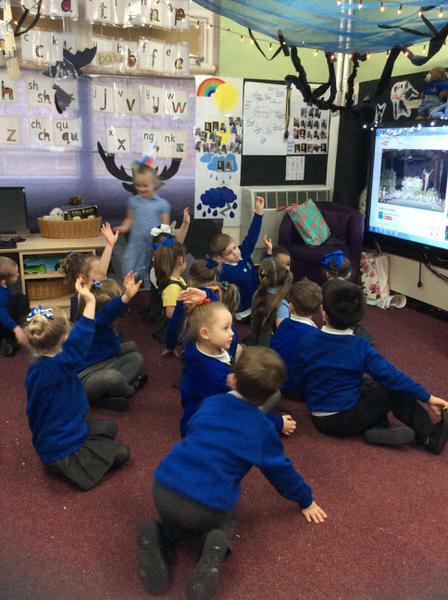 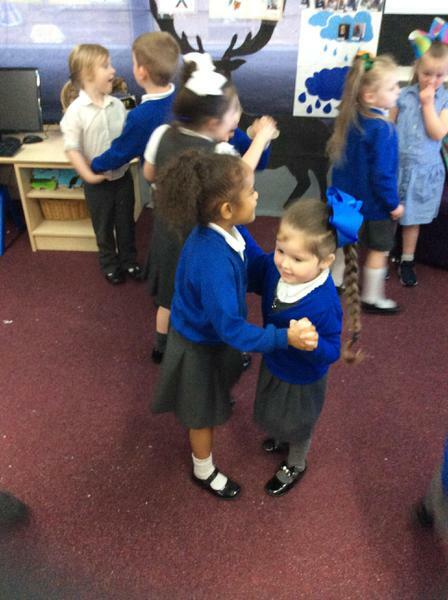 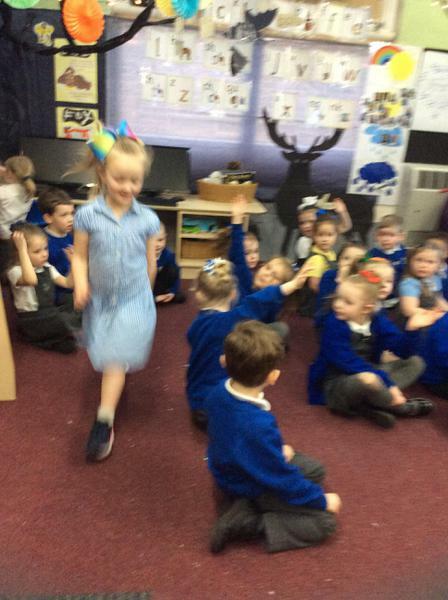 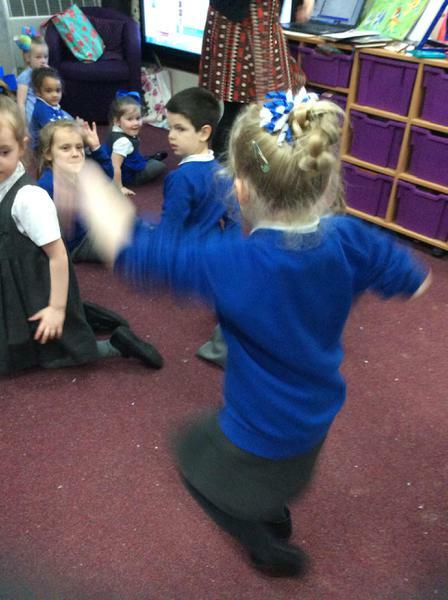 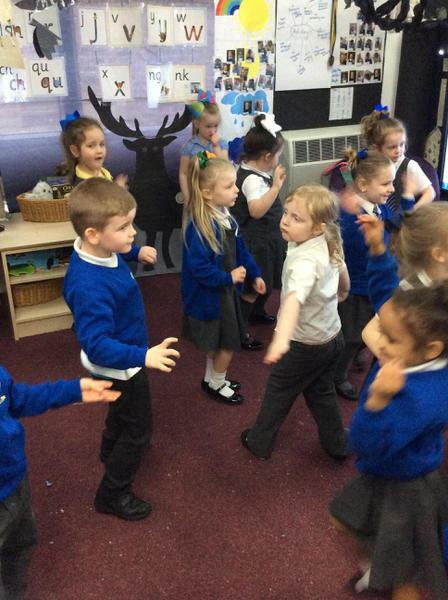 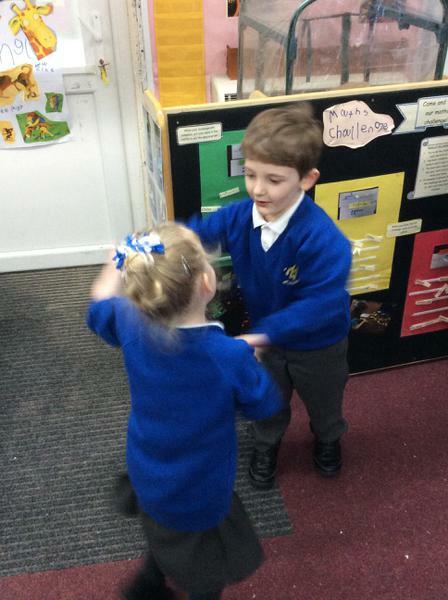 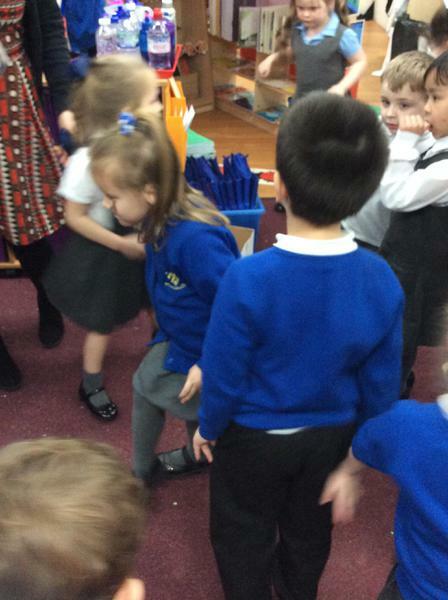 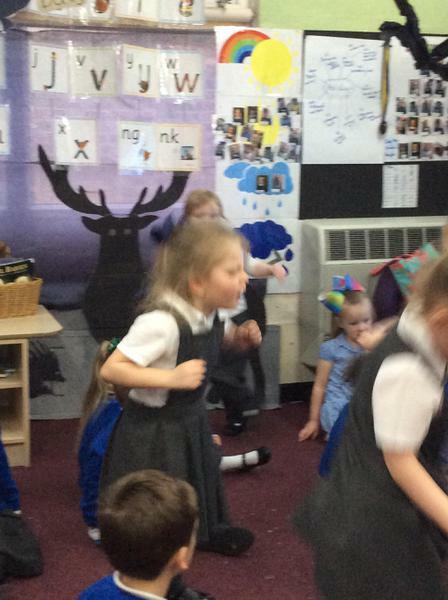 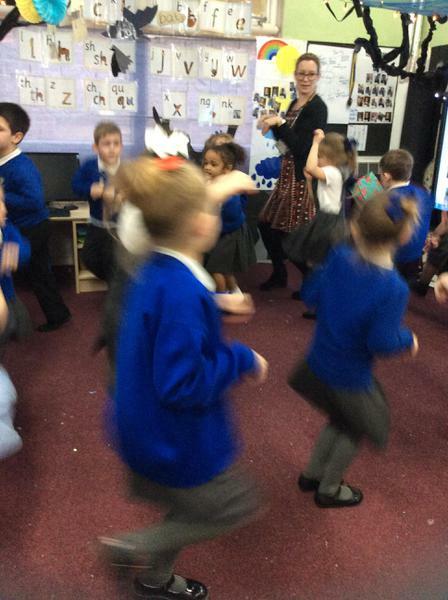 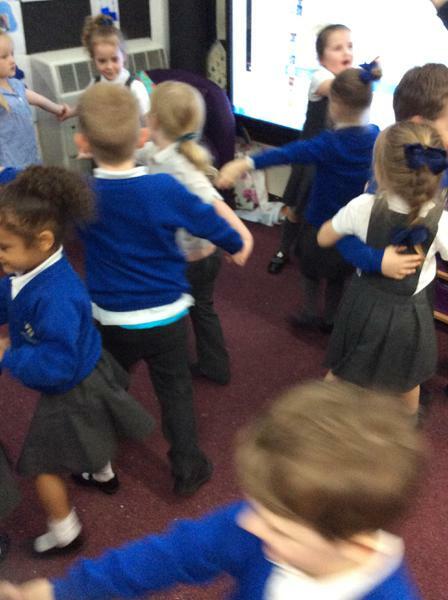 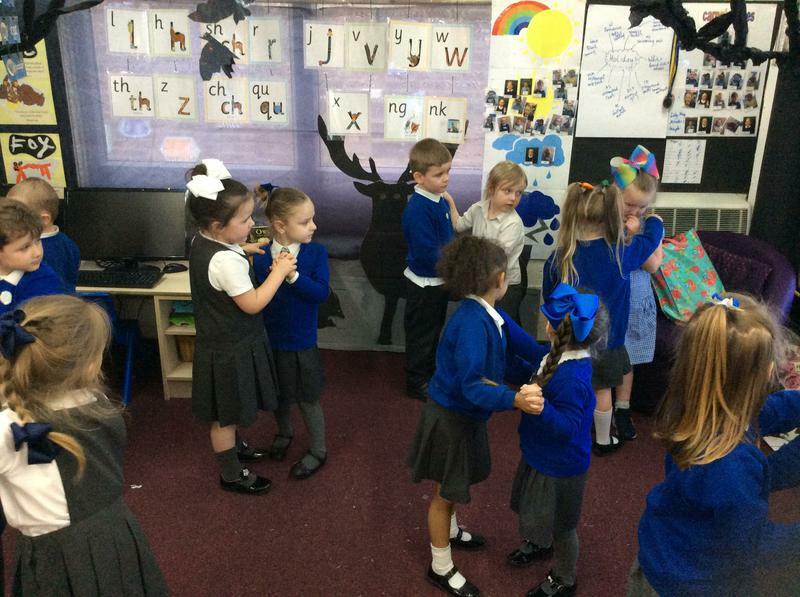 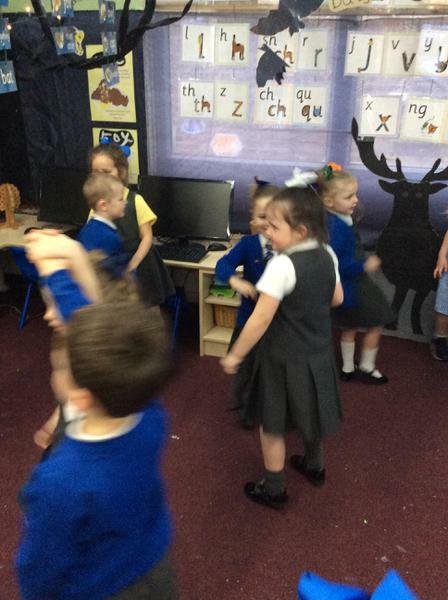 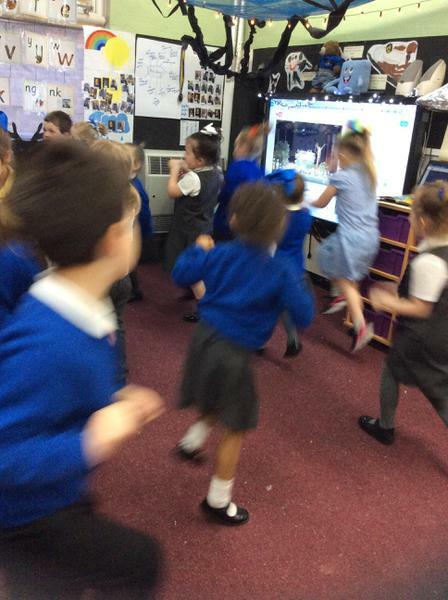 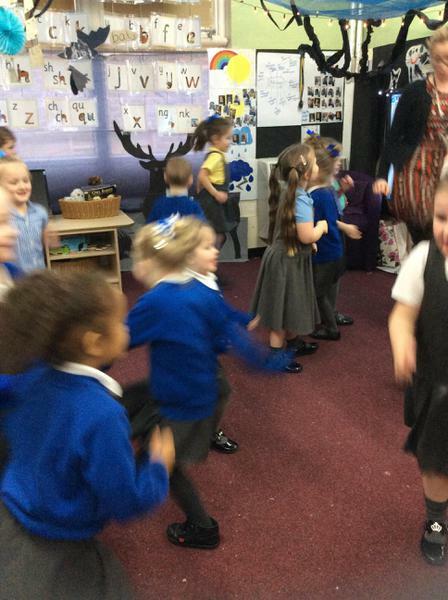 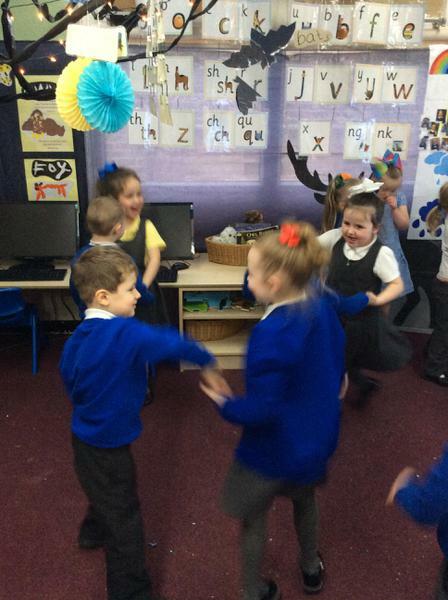 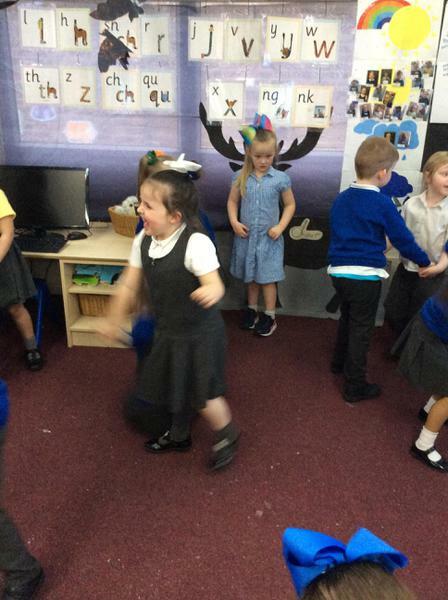 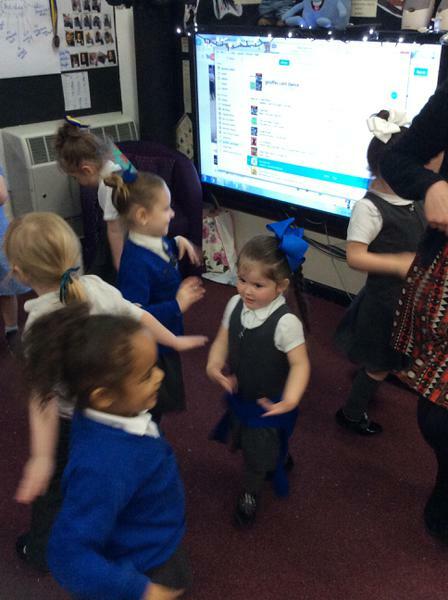 After reading Giraffes Can't Dance we learnt how to dance in different ways just like the animals in the book. 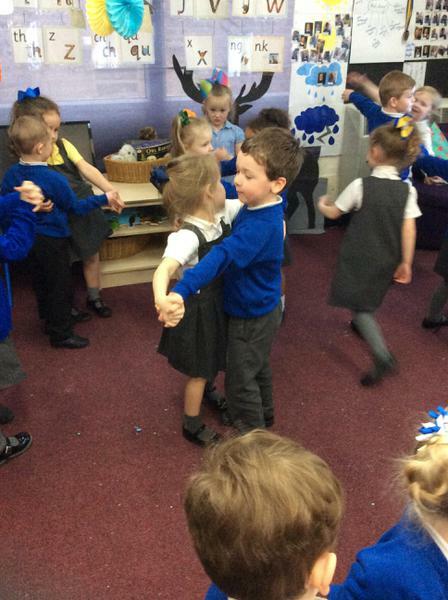 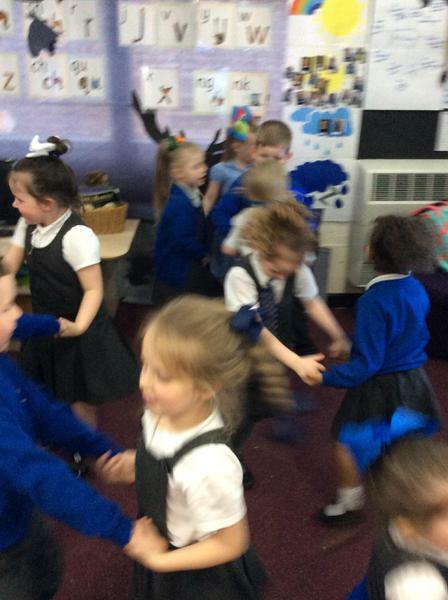 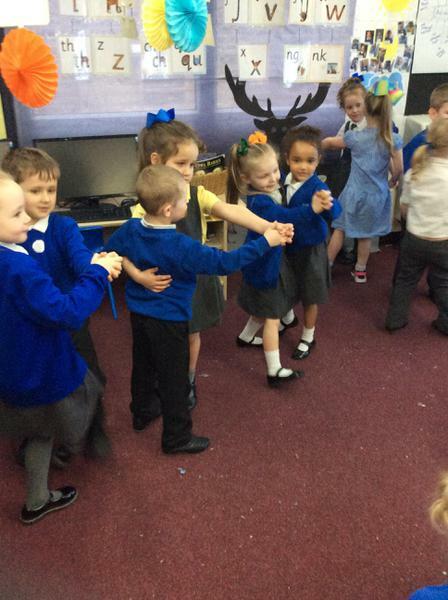 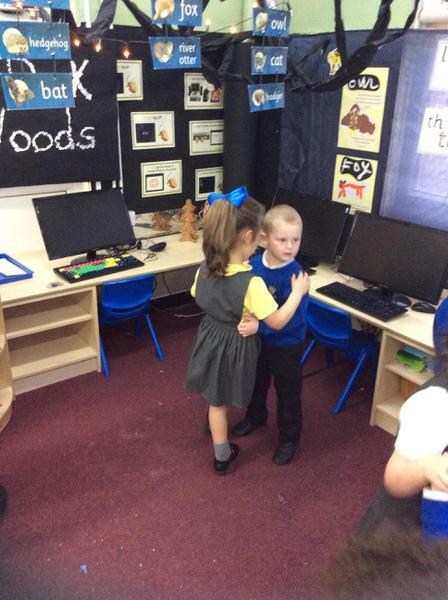 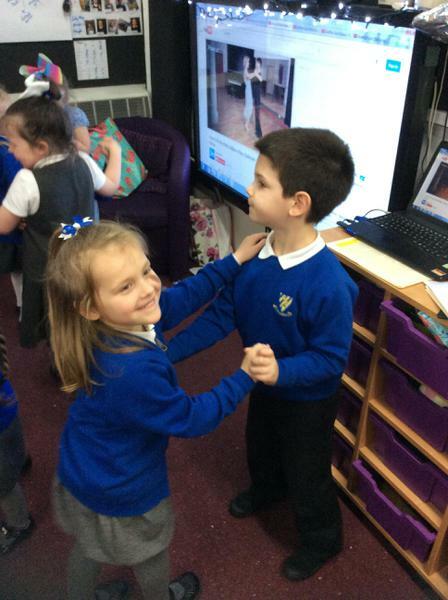 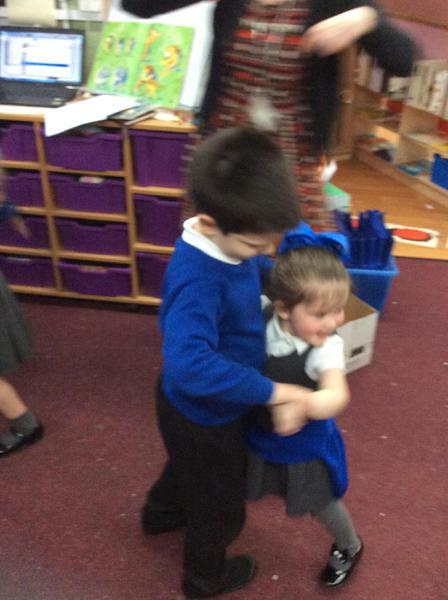 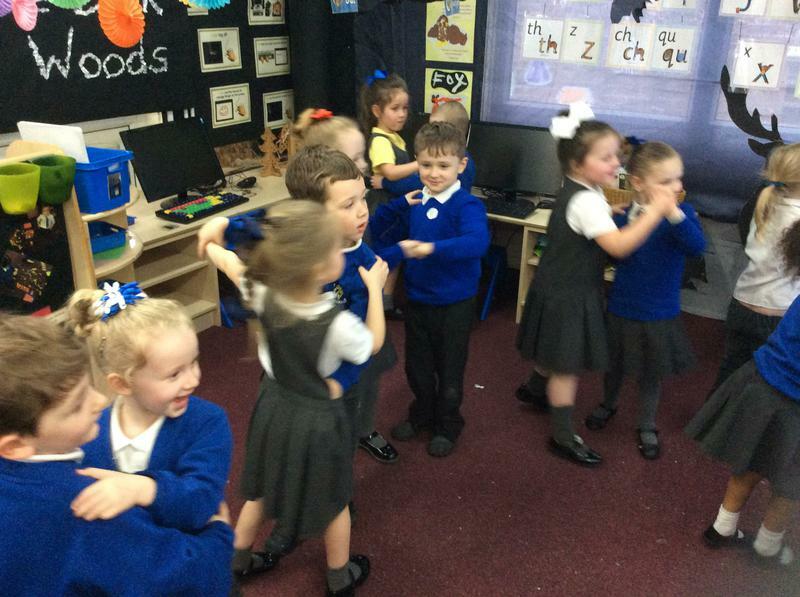 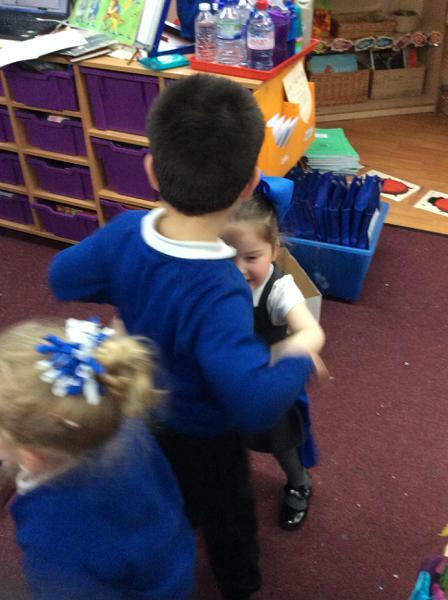 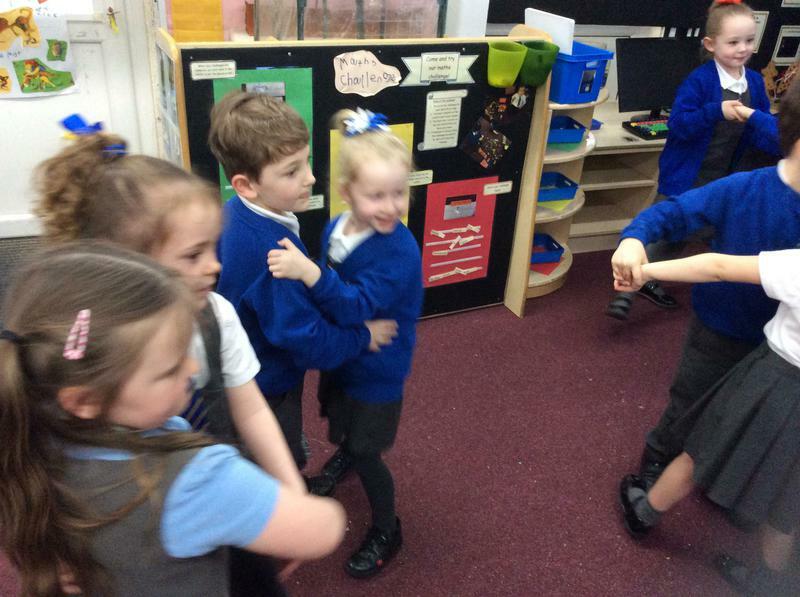 We tried the waltz, tango, rock and roll, cha-cha and scottish reel. 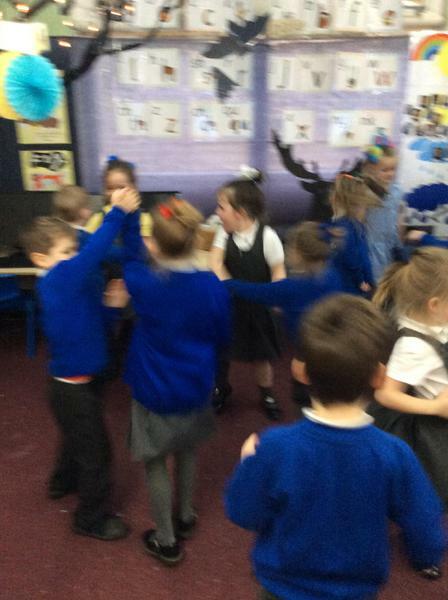 Can you guess which dance we are doing in the photos? 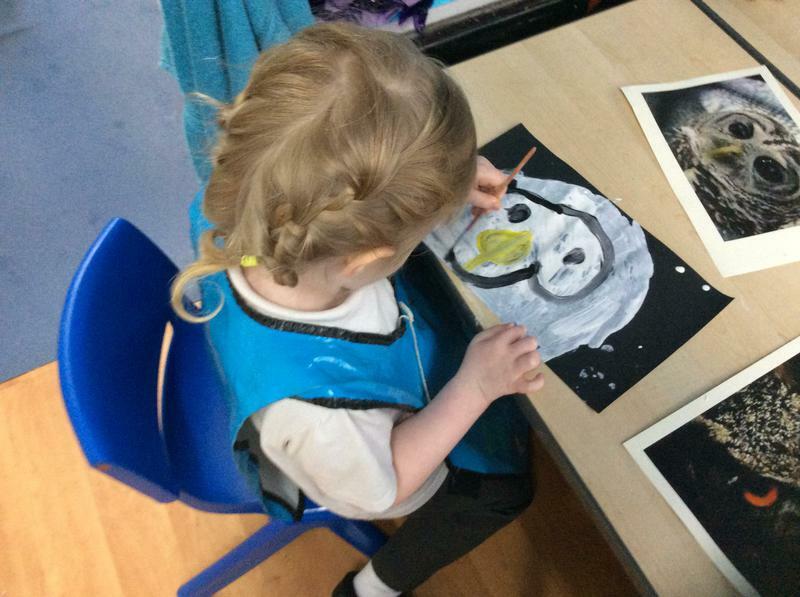 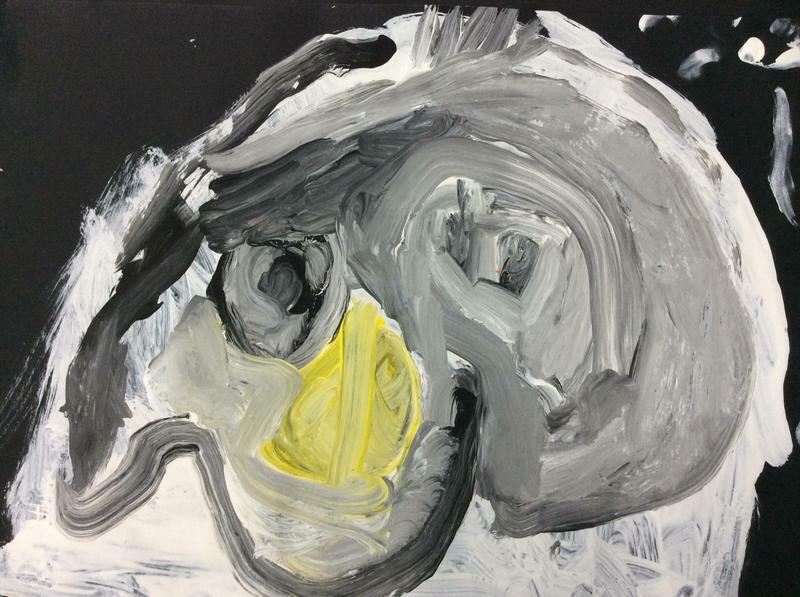 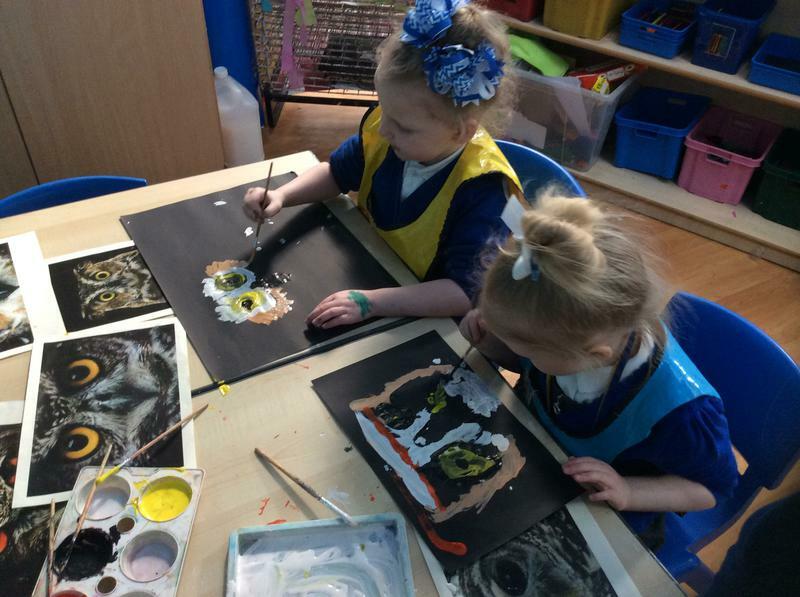 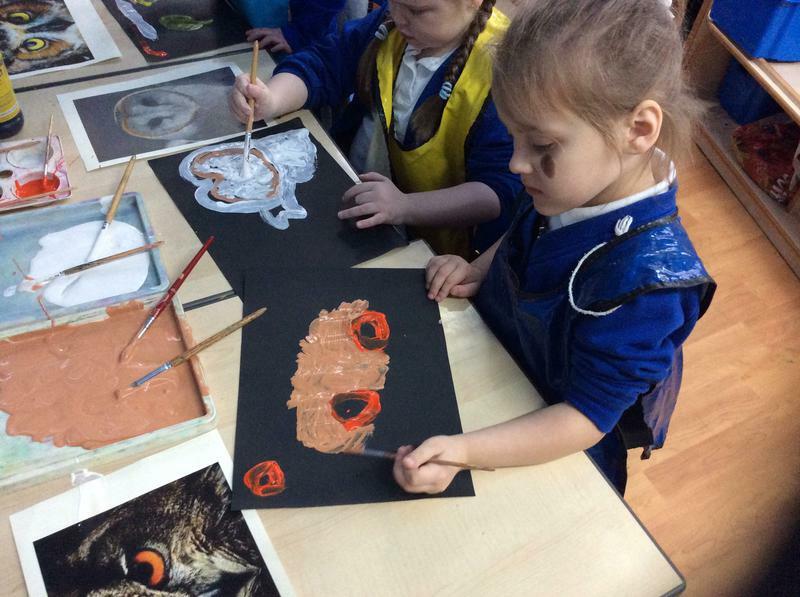 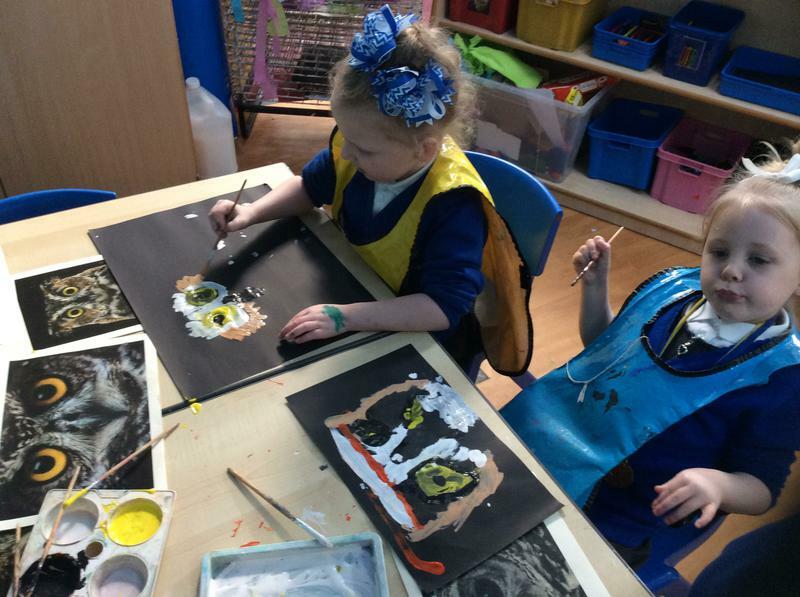 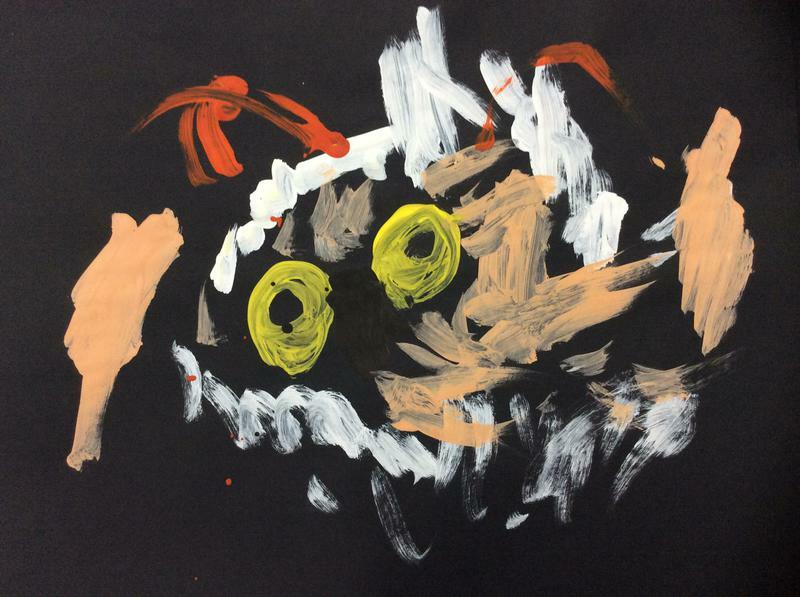 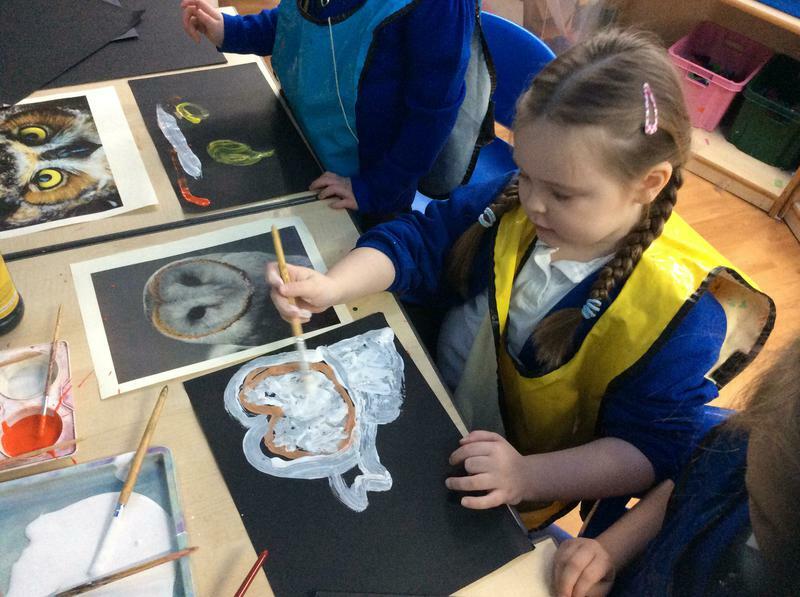 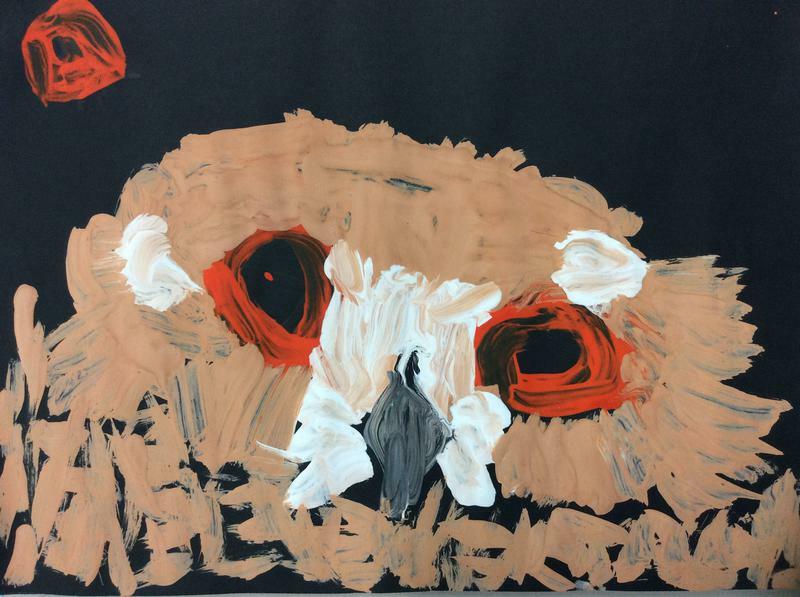 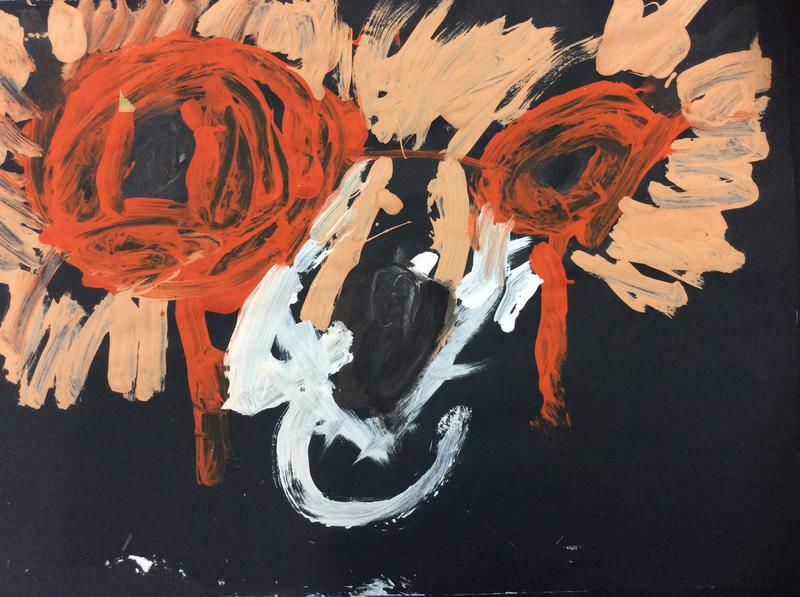 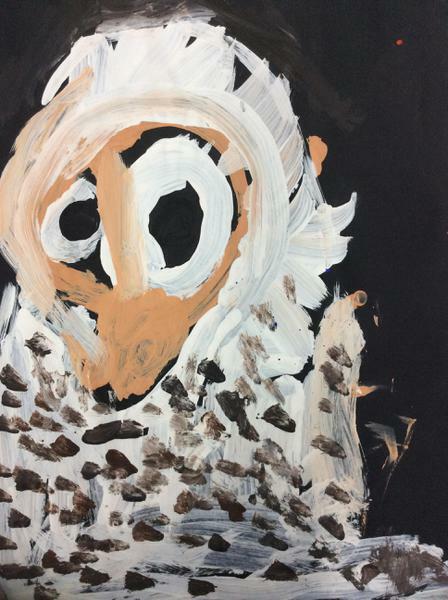 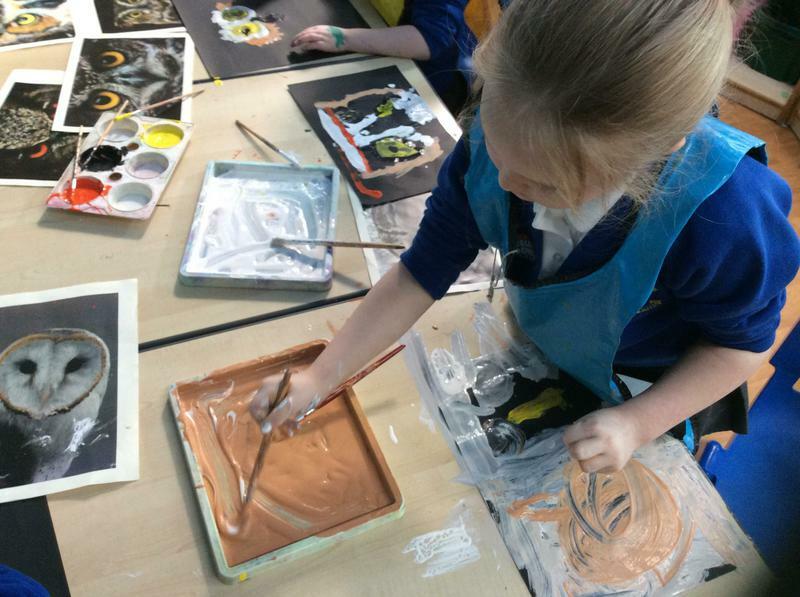 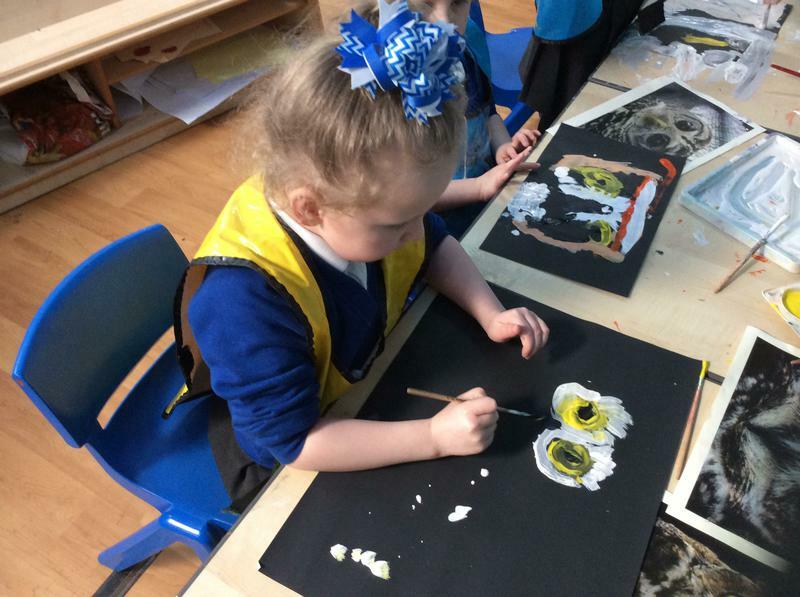 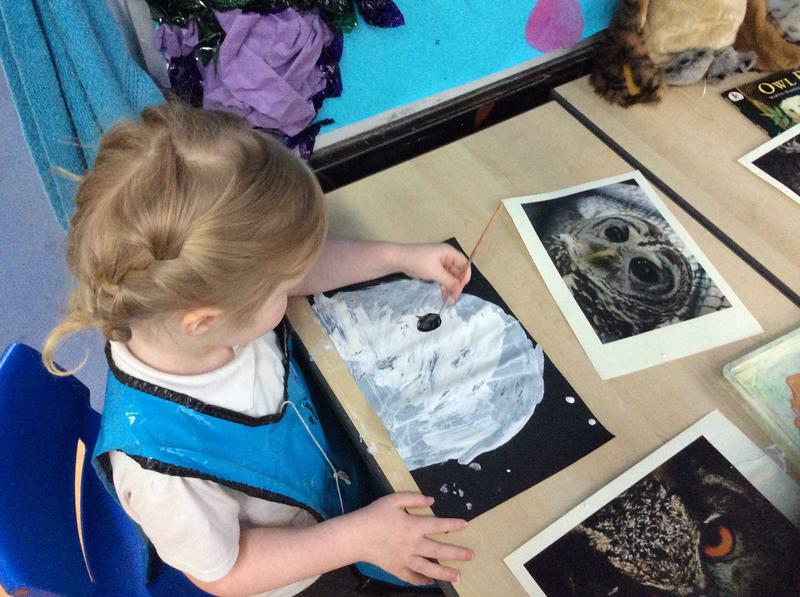 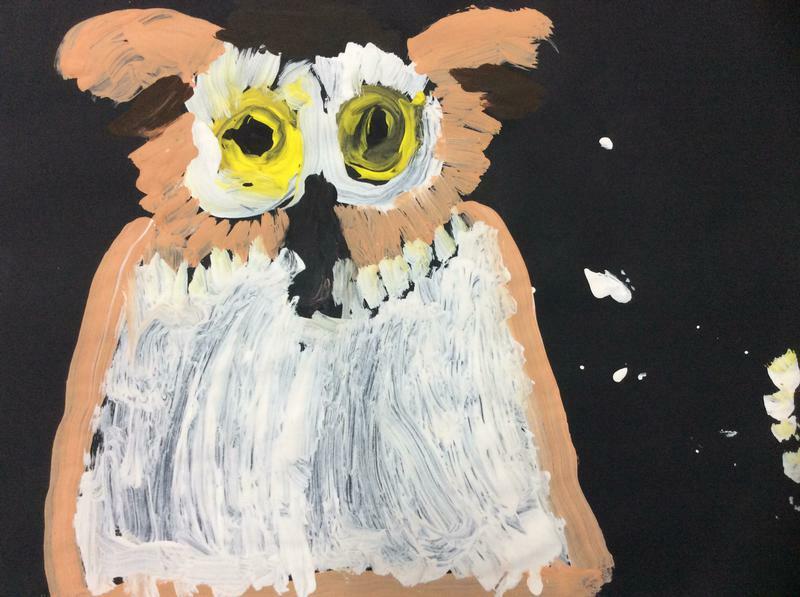 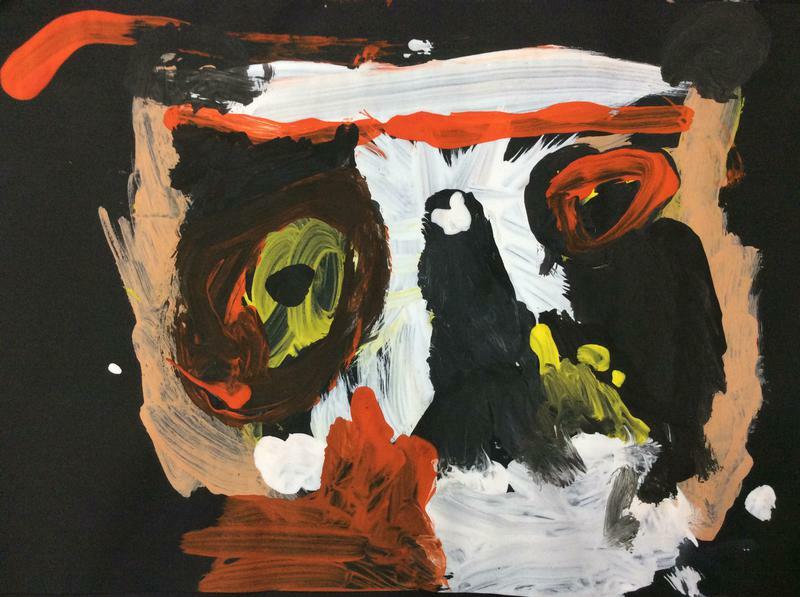 We looked at nocturnal animals and painted pictures of owls, looking closely at their eyes and feathers. 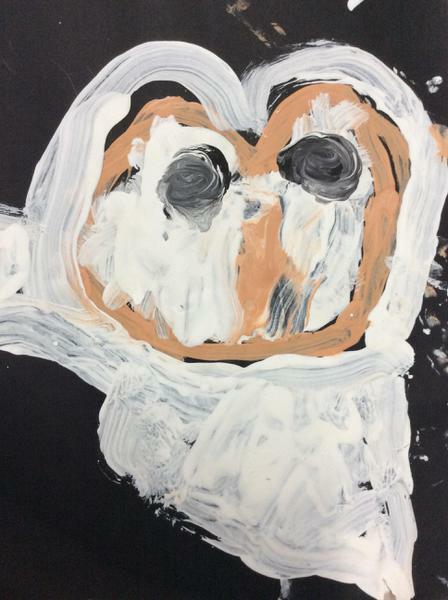 We picked colours for purpose and tried to flick our brushes to make the marks look feathery.